When the teaser trailer for "The Revenant" came out, I was pretty impressed with it. I was equally blown away that the same guy who made "Birdman" was the guy behind this. This seems so different compared to what "Birdman" is, and it is fairly rare when a filmmaker jumps around genres. Most filmmakers seem to play it safe, and that is not exactly bad. But Alejandro Gonzalez Inarritu is able to do that with a genuine amount of ease. I was impressed with the teaser, and now I am even more impressed with the full trailer. 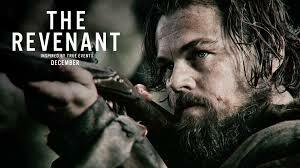 If Leonardo DiCaprio's performance is an ounce of awesome as it looks, then he wins an Oscar next year. No contest, no question.